A WFPK dandy and packed Zanzabar equals a solid Saturday night with The Apache Relay, even if it is the most hated day of the year for single gals like us. Zbar hosted another sold out doozie with this Nashville based band who apparently has some serious ties to our city. We struggle working with a clock and got there too late for opener Andrew Combs, but considering the venue was already packed, I’d say he did a good job getting things started. We heard from several people after the show that Andrew Combs is something else, and that we definitely need to catch him next time he is in town. The main attraction for the evening was undoubtedly The Apache Relay, who played their first ever sold out show in our town. The band has been a favorite of WFPK since their eponymous album release last year and has had great success sharing their folk, rock sound with the rest of us. 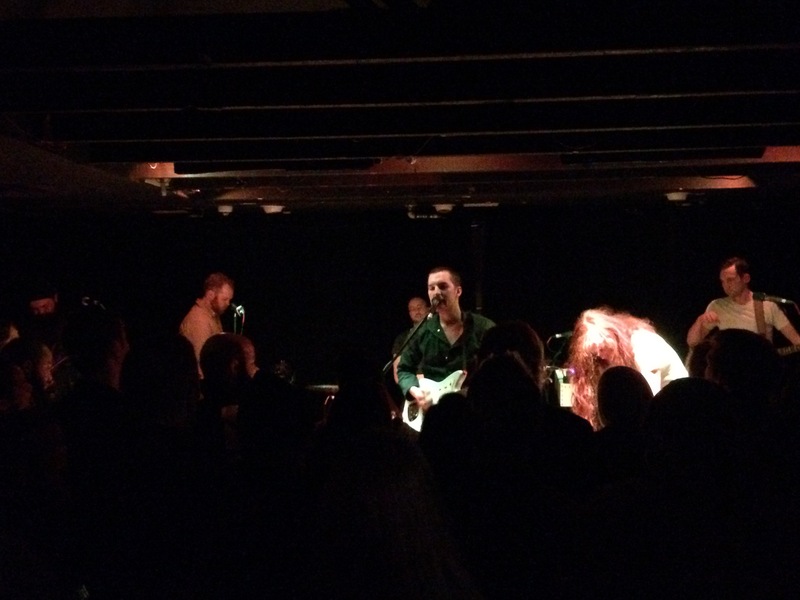 Their Waterfront Wednesday stint, opening for hard rocking, fellow Nashvillian’s Moon Taxi was met with a lot of excitement and a great crowd for the first installment last April. Saturday night was no different. They started their set off with a quality and fitting guest appearance from Houndmouth’s Katie Toupin for their hit song, “Katie Queen of Tennessee”– I’m pretty sure a similar collaboration occurred during their set last spring. It set the tone for the rest of the evening. They played mostly songs from their 2014 album as well as some older ones, guiding us to purchasing both discs at the conclusion. The rest of the crowd appeared to be out for a special Valentine’s Day date- most of those in attendance were there coupled up with their special someone. This, unfortunately, made it hard to do any sort of maneuvering to get closer to the stage, and since we were late, we were pretty stuck to our spot in the back. Apart from all of these loving pairs, we were pretty sure we spotted the rest of Houndmouth in support, as well as a couple other young, talented musicians from the area there to hear The Apache Relay’s exceptional product.